Is Being an Adjunct Instructor a Good or Bad Idea? For those who are looking to get into a career in academia, the outlook might seem a little bleak. The higher education landscape is changing and for every success story there seems to be several rather negative perspectives on the outlook for teachers. But it seems that the outlook, when taken at face value, can be as good or bad as you want it to be. Teaching has never been a profession for anyone looking to become rich. The reality is teaching is for those who loved to learn. In fact, they love it so much that they want to help others to learn. Thus, the outlook for teachers is bright for those that see the positives of teaching. But for adjuncts, or part-time instructors, specifically, it is important to really understand both the future landscape of higher education and to set realistic goals from the onset of what you can hope to achieve through a part-time academic career. 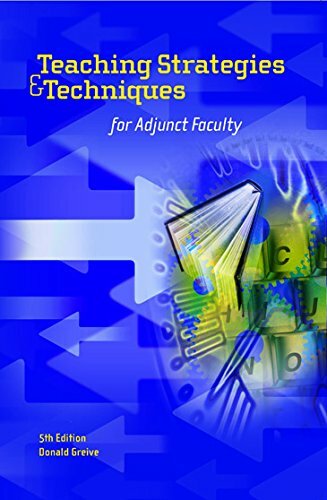 Why has the term adjunct become so important in the teaching field? Well, the fact is, academia is changing. When polled, a majority of university presidents would prefer to have a staff made up of instructors rather than tenured professors. Why? Fiscal flexibility. Universities and colleges operate on a strict budget. A tenured position is fixed overhead - for life. Thus, adjunct positions are currently becoming the wave of the future. And of course, no teacher that has spent a large portion of their life achieving a higher education with the goal of a career in academia is going to like this trend. But it is the trend. More and more universities and colleges are turning to adjuncts to fill out their faculty roster. This offers the university flexibility in a time of shrinking budgets. But let's get to the pros and cons of being an adjunct . . .
For those that truly love teaching, being an adjunct is fine. There is a lack of financial stability when working as a part-time instructor, but you are still in the class room doing what you love to do. Teaching is about sharing. It always has been. If you love to share what you know with young minds that are eager for information, then teaching, adjunct or tenured, is the job for you. 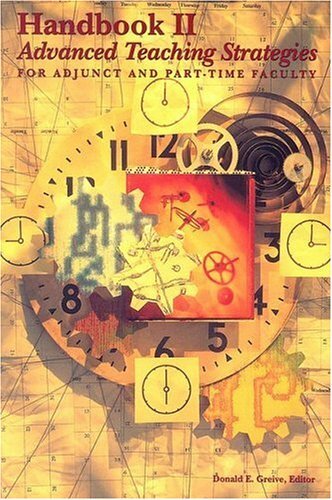 The days of the 9 to 5 job with the secure pension are coming to a close. But that can be blessing for the right person with the right mindset. Imagine a job that offers you a flexible schedule, new experiences and new faces every few months. One semester you might be teaching art history and the next a sociology course, but your delving into new material and sharing it with new minds. You are learning. They are learning. And for the person that truly loving learning, this can be quite rewarding. Plus, if you're are already employed in your professional field, then teaching lets you scratch that teaching itch while padding your pockets with a little extra income. Want to get rich? Don't teach. And certainly not as an adjunct. On average, an adjunct teaching five courses will make $20,000-30,000 annually. I can not recommend breaking that down to hourly wage when one considers the amount of time it takes to teach a course effectively. But for instance, if you're making $40,000 a year in a professional field and can fit in a couple classes, you can augment your income. It is all about how you look at it. No one feels comfortable not knowing when or from whom their income is coming. Adjunct teaching does not offer security. Sometimes an adjunct has no idea if they will have a teaching position from one semester to the next. This can be quite stressful for those relying on teaching as their sole income. Adjunct teaching offers both pros and cons. Again, if you want to get rich or have status, this is not the job for you. But if you want to feel the rewards of sharing information with young minds and learning yourself from new experiences, then part-time teaching might be a very viable option. And who knows, with some dedication a tenure track could come somewhere down the road.